At this point in my life I have read so many WW2-based novels and memoirs, that I’m either disappointed because the content is too overdone, or overjoyed because someone takes a new angle and delves into it to create a new story. I just finished Wunderland by Jennifer Cody Epstein and all I can say is WOW. Jennifer Cody Epstein manages to recreate several eras and places that are so close to my heart, and weave together lives in a way that you literally cannot put the book down. I’m not kidding when I say I couldn’t put it down - I read Wunderland on my phone and was literally walking around the house doing chores half- heartedly with one hand while reading with the other. Wunderland is the story of best friends Ilse and Renate in pre-war Berlin, and of Ava, Ilse’s daughter, as a small child and then teen in Berlin, as a young mother and then finally as a mother to a teenager in NYC. The novel skips between times and places, but I had no problem with that: it actually helped with the plot development and intrigue. I love novels that throw readers a breadcrumb here and there, along a winding trail, making you work for the storyline rather than just sitting along for the ride. Jennifer Cody Epstein has amazing attention to detail, and the descriptions in the novel are brilliant. So brilliantly done that there are parts that play out in front of you, and you feel as if your eyes are glued to a window pane, unable to divert them elsewhere, as much as you want to. The depictions of Kristallnacht are so vivid and real, I actually had to breathe through the waves of nausea rolling through my body. (I had similar emotions reading Herman Wouk’s War and Remembrance). I also found that Jennifer Cody Epstein did a great job showing just how seamlessly the isolation of the Jewish people happened in Germany, and also how in general the rest of the German population just took it in their stride that people who were once their friends, neighbors, bakers, etc, were suddenly lesser humans. It never starts with the camps. It starts with a few people sowing seeds that then develop into believed truths, and then suddenly crowds are whipped into frenzies, and eyes are blinded by hatred. I also appreciate that Wunderland doesn’t sugarcoat anything: you will most definitely not like all of the characters in the novel. I’m so glad I read this book, and recommend it to everyone. I haven’t read any of Jennifer Cody Epstein’s other work so I’m going to jump on that in the new year, as her writing really speaks to me. Thanks to Netgalley and the publisher for the advance copy, and to Jennifer Cody Epstein for writing such a wonderful novel! The original version of Striking at the Roots: A Practical Guide to Animal Activism was published in 2008, and now ten years later comes a majorly revised version, incorporating social media and other newer resources to this awesome book. Each chapter follows a clearly accessible pattern: a way to make a change, examples of how it can be successful, efficient ways of working, and different ways you can help. From leafleting and tabling, writing (articles, letters, op-eds etc), to protests and demonstrations, food fairs, and corporate campaigning, direct action, lobbying, and beyond: everything is covered in detail. Whether you are newly into animal activism, or already a seasoned activist, there is something to help everyone in this book. There are so many helpful parts in this book: it really is a hugely important guidebook to those interested in delving deeper into animal activism, and activism in general. I really like that it covers literally everything from leafleting to possible incarceration and how to deal with it, and also contains a chapter on activist self-care, which is so important. 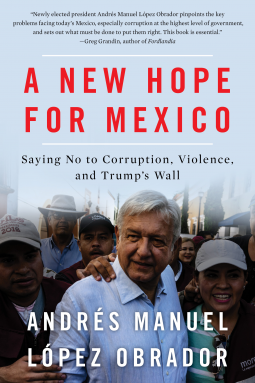 There are also several appendices at the end which provide tons of information on how things are changing thanks to the continued hard work of activists around the world, steps each of us can easily take to make a changes, and also important facts for activists in different countries (laws, what to do if arrested etc). I love the whole concept that changing just one person’s mind can make a huge difference, a kind of ripple effect so to speak. I did it at home by serving up vegan dishes to my other half, a professional cook and meat lover. It made him realize how much further we could go in terms of providing delicious options to counter meat dishes in restaurants. If we all do this type of work we can collectively make real change. This book is so easy to read and so helpful – I already know a few people that I want to get it for as a Christmas gift. I have taken so many notes while writing this book, with ideas for blog articles, op-eds, as well as challenges to do with the family at home, and I think that many people will appreciate it in the same way as I did. I love how accessible it is too, there really is something for everyone inside it. Karabo was a young girl during the Rwandan genocide in 1994, and saw her Tutsi father and sisters murdered, and was left for dead herself. Her mother, who was Hutu, fled the massacres, and Karabo was left an orphan, and taken in by her paternal uncle Kamanzi, who raised her as her own. Hearts Among Ourselves is a novel, but reads as a memoir, in such a way that Karabo feels like a real person. And while she is fictional, she IS also real, taken from pieces of everyone who survived the genocide, and lived on to face life after genocide amidst survivors and perpetrators and those in between. A. Happy Umwagarwa has created a profound novel that is a love story, a coming of age story, but also a deep look into the effects of war and genocide on a population, and how ethnicity designations, hatred, and confusion don’t just go away because the massacres and/or wars are over. The author uses Karabo’s mixed ethnicity as a way to show the reader that there are no just good or just bad sides in Rwandan history and people, but deep beliefs that need to be fully erased before the country can really move on. I thoroughly appreciated this dinsight into Rwanda post 1994, as the country is often celebrated as having performed amazing feats in terms of reconciliation, and I think many of us outside of the country have never thought much about how much effort, pain, and courage this must have taken on the part of an entire population. It took me quite a long time to read Hearts Among Ourselves. There were some areas that I found were too drawn out, especially in terms of the never-ending love triangle between Karabo, Shema, and Sugira. There were times when I wanted to tell Karabo to stop hiding, and then I realized I needed to put myself in her shoes, and imagine growing up having seen most of my family murdered by people who had previously been friends, and navigating life and love thinking that her mother had abandoned her to her fate. I really appreciated the insight into how the genocide didn’t come out of nowhere and hasn’t disappeared into the past either, as well as the constant reminder that everyone has had to deal with the consequences in some way or another. So while the general narrative left me a little bored or perplexed at times, I still feel like the main takeaway from the story as a whole is that we cannot ignore history if we want to move forward, but that we cannot rest stuck to the past either. But that in the end, with hard work and an open heart, reconciliation is possible. And I learnt a lot about life in Rwanda and Rwandan culture, because A. Happy Umwagarwa has a great way of threading everyday life into each page. If you are anything like me you understand the crazy love one can have for reading. I have read, devoured, books for as long as I can remember (literally as my mum taught me to read when I was only a few years old). I spent my elementary school years pretending I was George in The Famous Five, or Harriet the Spy. Later on I was Cathy yearning after Heathcliff and then Jacqueline in Gone To Soldiers. I always had a pool of heroines I could relate to and who I wanted to be. Growing up it never dawned on me that the while I may not have had a typical childhood or upbringing, I still had no issues finding characters in books I related to. Actually, that never actually crossed my mind. Most of the characters I read about were white. And I had parents who made sure I read diversely and widely. It was only when I discovered Toni Morrison and Alice Walker thanks to our curriculum in a French high school that I discovered that my reading up until then was in no shape or form as diverse as I thought it was. Well-Read Black Girl started as a book club to center and celebrate Black literature and has expanded into a huge, and growing, online community and literary festival. In this book, the founder of Well-Read Black Girl, Glory Edim, has curated a wonderful selection of essays by Black women writers, activists, and readers. You can read stories by writers such as Jesmyn Ward, Tayari Jones, Rebecca Walker, and Gabourey Sidibe, as well as many others. Well-Read Black Girl is an eye-opening read. Can you imagine having to actually research books with characters who look like you? I can’t. They were and still are readily available. Reading through some of the brilliant essays in this book made it all the more clearer to me how much harder we need to work collectively, and on a personal level too, to not only make sure everyone feels represented in literature but to also read, promote, and focus on work those who are underrepresented, and most of all Black women. By making a more conscious effort to do so this year I have discovered so much wonderful work, and it’s ridiculous that there are so many talented women out there who we may never get to read because they aren’t being published. I also discovered so many more books that I need to read throughout this collection too. I loved that after every essay or so there was a list of recommended books and/or authors. I particularly loved reading Jamia Wilson’s haunting words, as well as Rebecca Walker’s essay, but every single one of them is an excellent read. I do love how the theme of representation is central to the anthology but how each woman’s experience is unique. I love to read and I love to write, and I love reading about those who love to read and write. As he states right at the beginning of his memoir, Kiese Laymon could have written a lie. He could have sugarcoated and hidden, forgotten, and omitted. But he didn’t, and I’m so glad he told the real raw truth in Heavy. A word of warning: Heavy is going to rip your heart out more than once, and cause you to start looking at your own life in a different way. We could all tell lies, we all do tell lies… What will happen if we take a page out of Kiese Laymon’s stunning book and start telling our own truths? I hope people realize how much courage and heart it took to write this memoir, and that people take their time to unpeel the layers that are present within the words. I’m still reeling and probably will be for a while. Heavy reads like a novel in letter form, a letter to “you”, Kiese Laymon’s mother. It follows Laymon’s life growing up poor and black to a single mother in Jackson, Mississippi, through college and right through his years teaching at Vassar. Heavy is Laymon’s life, but it is also the story of his brilliant and conflicted mother, his amazing grandmother whose drops of wisdom are always perfectly timed, of physical and sexual abuse, and of being determined despite all of the obstacles that were put in his path way before he was even conceived. Heavy is struggle: struggle with weight, struggle with control, with gambling, with finding oneself, the struggles of living in a world created only to benefit white people. I will never understand what it is to grow up as a black man in the US, but Laymon’s memoir provides excellent insight into the unique struggles faced by black men in this country. As I said earlier, Heavy is layers, and you need to appreciate them all to understand the piece of literary excellence that it is. A memoir but also a profound insight into this country and the lies this country tells itself to keep on keeping on. We are all pretty much complicit in these lies, our legacy will rest on what we actually did to make a difference. Laymon has been making his differences for years, are we making ours? On a personal level, I have always hesitated to write full truths in case I upset people. I know exactly how much courage it took to write Heavy, and how it also must have hurt Laymon’s mother the first time she read it. You can find an absolutely beautiful letter from her on his blog which in my opinion sets the importance of writing the truth no matter what in stone. We all make mistakes, it’s up to us to use them as growth rather than hide behind them. Kiese Laymon has become a huge inspiration to me, and I’m pretty sure Heavy is going to continue to inspire and impact me for years to come. This review doesn’t do Heavy enough justice. All I can say is that you need to read it. Thanks to Netgalley and the publisher for the advance copy. Thanks to Kiese Laymon for putting so much of yourself into your beautiful writing. I think I was meant to read this stunning memoir right at this moment in time. I’ve been feeling particularly triggered by the news these past few weeks, and beginning to wonder again about the disservice I am doing to myself and others by not being able to talk about the childhood trauma I carry with me, masked lesions on my body, scars that don’t disappear just because we talk about them. Terese Marie Mailhot describes the effects of intergenerational trauma in a way that speaks to me directly, cuts through me as my brain recognizes and relates, my body curling into itself again and again as I read. This memoir is sheer poetry, the writing flows beautifully; jarring, real, ripping you apart. I read it in one day, not being able to put it down, but at the same time unwilling to reach the last page. Written pen to paper during a psychiatric stay Terese Marie Mailhot committed herself to after a breakdown, Heart Berries starts as a letter to her now husband Casey and evolves into a memoir of a life where normalcy never became an option until she was well into adulthood. Born into dysfunction, abuse, and poverty, with an alcoholic and abusive father, a mother committed to saving others while leaving her children to fend for themselves, and a grandmother who had survived the horrors of the Canadian residential schools as a child, Terese Marie Mailhot weaves past and present together as one. How does one raise one’s voice when no one wants to hear it? How does one break the cycle for once and for all? Heart Berries is Terese Marie Mailhot’s answer to those questions, and so much more. We have spent far too long erasing, dehumanizing, categorizing, and forgetting Native American women. These are the voices that we need to listen to. These are the voices we must hear. Terese Marie Mailhot grew up on the Seabird Island First Nation Indian reservation in British Columbia, and her voice is so strong and powerful. She writes so beautifully, her heritage and upbringing woven together in her now, and her memoir strips her soul bare to the world, inspiring in its truth and multi-faceted visions of her childhood, her mind, her love, and her search for difference. I can’t recommend this book enough, and I know I will need to reread it again very soon. I requested this one as an ebook from my library a few months ago, and when I finally got my copy I nearly ended up forgetting to read it! I’m so glad I didn’t, it’s not a long read but it packs an important, and hard, punch. I understand why I have seen many activists recommend this book as required reading for white people, especially white feminists. It most definitely is required reading. Austin Channing Brown cuts to the chase from the first page - if you are like me and just added the book to your TBR without reading more than the title, then your first prejudicial thought will be pulled to the surface: Austin Channing Brown is a woman, not a man. (I had assumed she was a black man from the name and the subject matter and from those who recommended the book, but you know, I assumed). 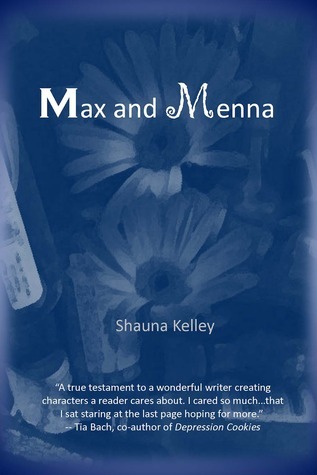 The author’s parents named her Austin for a very specific reason, so that people would assume and that she would therefore get an equal chance. If this doesn’t start a tunnel of questions and possibly even revelations in your mind, then the rest of the book will. This will be a hard read for many, because hard truths are never easy to hear. White supremacy is a putrid soul-sucking poisonous legacy that this country refuses to get rid of, and instead of doing the work we should be doing, we white people keep pushing it off to others. Austin Channing Brown evokes her story of being a black woman in spaces that are historically, and still today, considered to be white spaces, and while her experience is a personal memoir, it’s an experience that every single black person in the US relates to. If we don’t listen and act when we read and hear these stories we are not doing the work we should be doing. I was going to add the word “react” but that is usually what happens, but reactions tend to be full of white guilt, innocence, centering, and admonishment. Those are better kept to our personal journals, because these reactions do more harm than good. Austin Channing Brown explains that a lot more eloquently than I am doing right now. Just read it. And then, as the author states so clearly, ask yourself what you are going to do about it. If there is no action following words, then the words don’t count. There is so much work to do. I’m buying a copy of this book as I need to reread and highlight entire passages. And my kids will need to read this when they are old enough. I’m working on my #ReadAfrica2018 reading project, but had to take a break for Reyna Grande’s A Dream Called Home - and I’m so glad I did! Although now I feel like I have opened a new door to a new reading challenge as she mentions so many writers and poets that I know I need to read! I have taken their names down and will keep it on the back burner for next year. Also, quite fittingly, it’s Hispanic Heritage Month here in the US, so this was a brilliantly timed memoir, both in terms of Reyna being a writer born in Mexico, and also an immigrant in the US. A Dream Called Home is Reyna’s story of fighting for her dreams, despite her background, despite the setbacks and roadblocks, and despite the clichés and boxes people tend to stuff one another in here in the US (although that definitely doesn’t just happen here). She wrote about her story as a young Mexican girl crossing the border into the US in her memoir The Distance Between Us, and A Dream Called Home is the story of becoming an adult in a world where she never really feels at home. Each book can be read alone though. Anyway, in A Dream Called Home Reyna starts with her years at university, and moves on to telling the stories of how she became a teacher, a single mother, and how she continued to push herself to write and to be published. I don’t think I can express how inspiring this book was to me, and how there were some areas that I related to (but more that my partner relates to, our own stories and immigration stories meet and differ in many places). I will be buying a copy of this book for my children, so that when they are older they will understand some of the choices their parents had to make, and also know that the world is theirs, and their voices have as much weight as other voices. Reyna’s recollections are full of many profound statements that hit me hard: that feeling of not belonging anywhere anymore, a double identity that doesn’t fit in here or there. I still carry that with me wherever I go. Reyna has inspired me to keep pushing with my own stories and my own writing, and inspired me to keep reading and talking about the stories that no one wants to talk about. Kenney Jones’ voice is delightful - I can hear it through his words, laughing at some of the memories, reminiscing about antics, friendships, good times and bad times. He’s such a candid storyteller, a bit of a rambler at times, making this autobiography a refreshing read. Kenney Jones, for those who don’t know, found fame as the drummer of Small Faces, and then Faces, and after the death of his good friend Keith Moon, drummer for The Who until they split. Kenney is a born and raised East End boy, and basically born a Mod. His autobiography is the story of where he came from, how he got into music and the drums in particular, how his bands made a name for themselves, and so much more! We learn loads of fun anecdotes about life in the days when audiences were a set of screaming female fans, when trashing hotel rooms was the norm, and when everyone was friends with everyone in the scene and beyond. And then so much more than that! 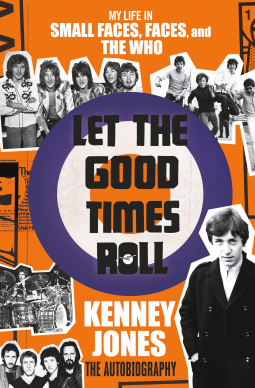 Kenney has done so much in his life, made music with so many people, and has so many stories to tell that Let The Good Times Roll is just a joy to read. It does jump around a bit at times, I understand why - he likes to tell a particular story until the end - but timeline wise it messes with you sometimes. All in all it makes the book seem less polished than a typical autobiography, but in a good way in my opinion: you feel like you are sitting at a table at Kenny’s local enjoying a few pints and a good old wander down memory lane. I really enjoyed Let The Good Times Roll ­– it was great to have a view of bands that I love from one of the members, to hear all about a scene I was way too young to be part of but wish I could have been, and also just to read about other famous musicians I admire in a different way, from a friend’s point of view rather than a biographer’s or music journalist’s eye. I’m going to watch Live Aid again now that I’ve finished the book! And will be focusing on the drummer this time when The Who’s set starts! (Also, as a personal note, the Meher Baba references in the book took me back to my own childhood, our trip to India in 1993, and Pete Townshend singing Meher Baba’s prayer. It’s funny because most people have no idea what I’m talking about when I mention his name, but he is a huge reference to my own childhood, and it was interesting to revisit that through the autobiography of a musician! ).